Birthdays and more birthdays. My family members (nephews and all) seemed to have taken a liking to Red Velvet Cakes now. 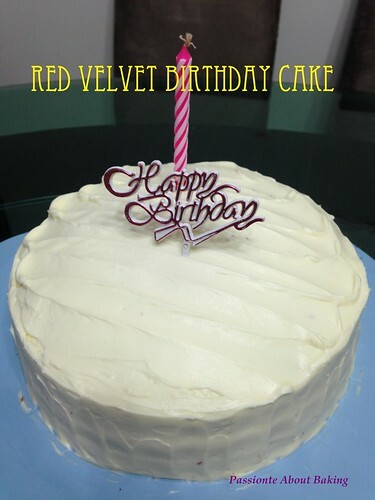 Earlier this year, I made a Red Velvet Cake (RVC) for my sister's 40th birthday, and last month, my nephew asked for RVC for his birthday again. I decided to try new recipe rather than using my usual one. Found a recipe from Food Network which was easier than those I've tried. The cake was moist and dense and tasted good, like how RVC should be. This could potentially be another keeper for RVC. 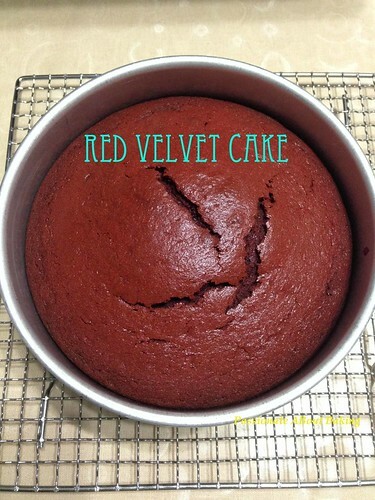 Recipe for Red Velvet Cake, adapted from Alton Brown. 1. Preheat oven to 180C (or 160C fan oven). Line the bottom of the pan with a parchment paper round and set aside. 2. 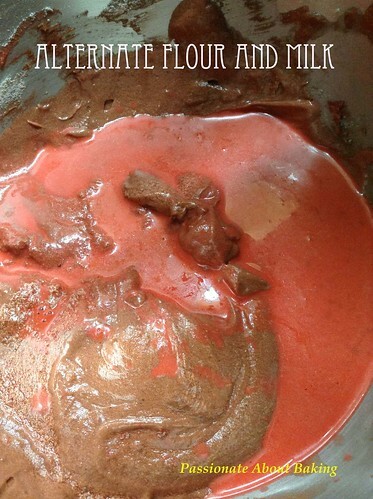 Whisk the flours, cocoa, baking soda, and salt together in a bowl and set aside. Whisk the buttermilk, food coloring, vinegar, and vanilla together in a small bowl and set aside. 3. Combine the brown sugar and butter in the bowl of a stand mixer with the paddle attachment and cream on medium speed until lightened in color, 2 minutes. Stop the mixer and scrape down the sides of the bowl with a spatula. Return the mixer to medium speed and slowly add the eggs and beat until they are fully incorporated. 4. With the mixer on low, add the flour mixture in 3 batches, alternating with the buttermilk mixture, beginning and ending with the flour mixture. Stop the mixer and scrape down the sides of the bowl between each installment. Mix on low speed until smooth, 30 to 45 seconds. 5. 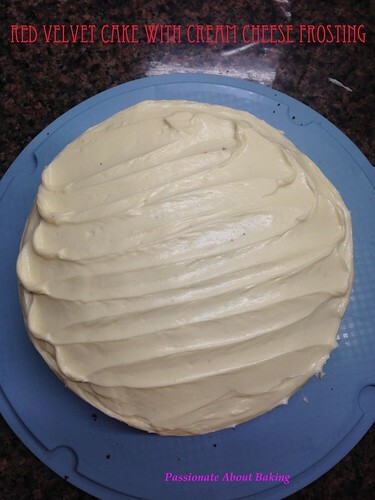 Pour the batter into the prepared pan and bake for 50 minutes or until the cake springs back when pressed. 6. Cool in the pans on a rack for 10 minutes, and then remove the cake from the pans and cool completely, about 1 hour, before frosting. 1. Combine the cream cheese and butter on medium speed, just until blended, in the bowl of a stand mixer fitted with the paddle attachment. 2. Stop and scrape down the sides of the bowl. Add the vanilla and salt and beat until combined. With the speed on low, add the icing sugar in 4 batches, beating until smooth between each addition. 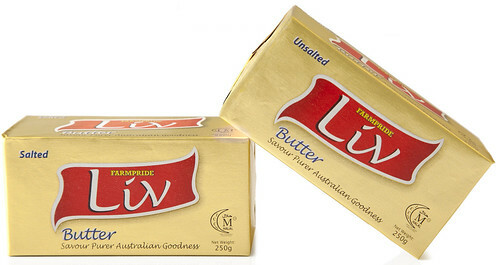 Refrigerate for 5 to 10 minutes before using. 1. 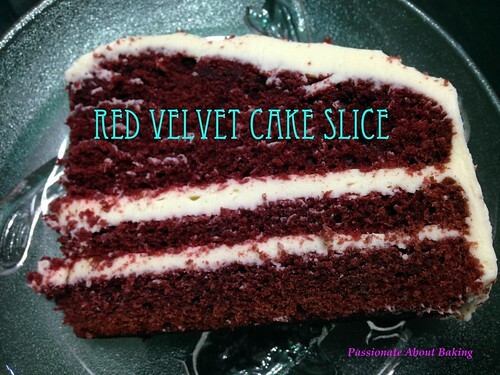 Slice the cool cake into three equal layers. 2. 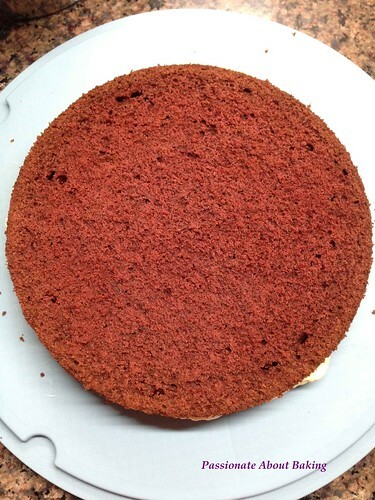 Place one cake layer on a serving plate/tray and spread some cream cheese evenly. Repeat this process until all cake layers are stacked. 3. Frost the cake and decorate as desired. 4. Chill the cake to set the frosting. Leave in room temperature for at least 1 hour before serving.